Madame Lamonnier is a very special Hellebore, originally discovered in a French garden she is a chance hybrid between a Christmas Rose - Helleborus niger and the Lentern Rose - Helleborus orientalis. The result is absolutely stunning, in mid winter when other plants are dormant, and things can be looking drab, the beauty of this flower really shines through. Large outward facing flowers make a bold statement, and shine out like a beacon, heralding longer day length and the chance that Spring is just around the corner. Combined under trees and shrubs with other shade lovers such as Cyclamen coum and snowdrops is going to provide you a really stunning display. 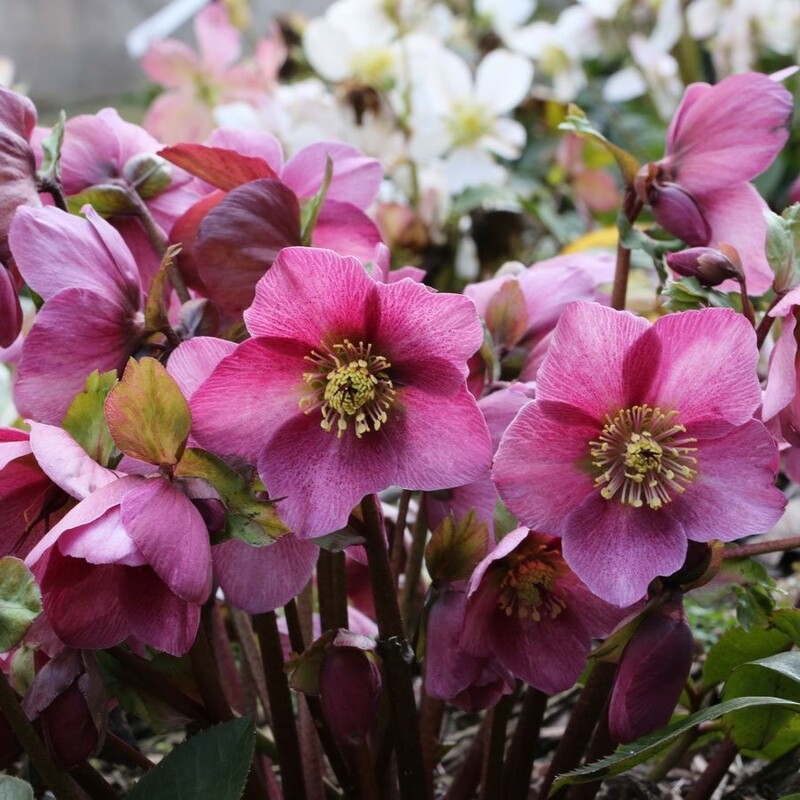 The plum-pink to fuchsia to blush coloured blooms contrasting wonderfully against the winter landscape and other early season flowers, this is one Hellebore, also known as winter roses, not to be missed. Madame Lamonnier is perfect for a shady or semi-shady position, with a superb clump forming habit, reach a height of around 40cms high and wide at maturity. Supplied in approx 3 litre containers in bud and flower in season.